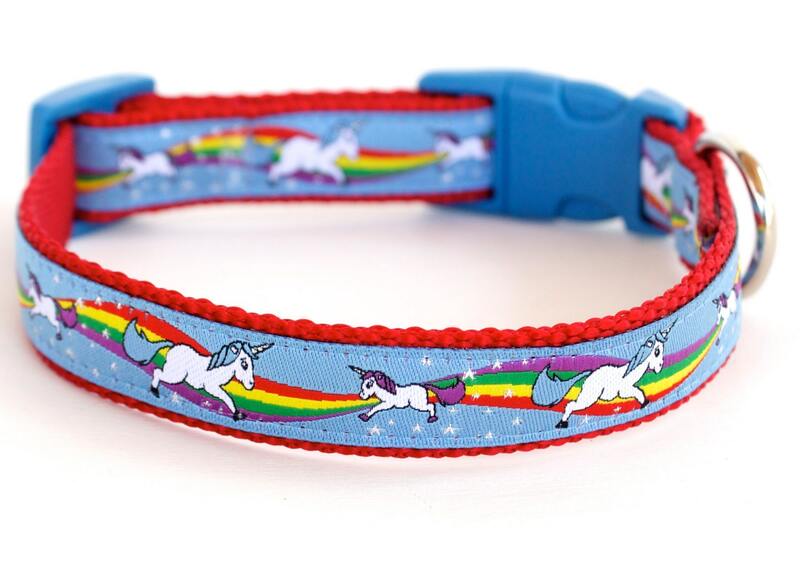 Magical Unicorns Dog Collar in Blue. 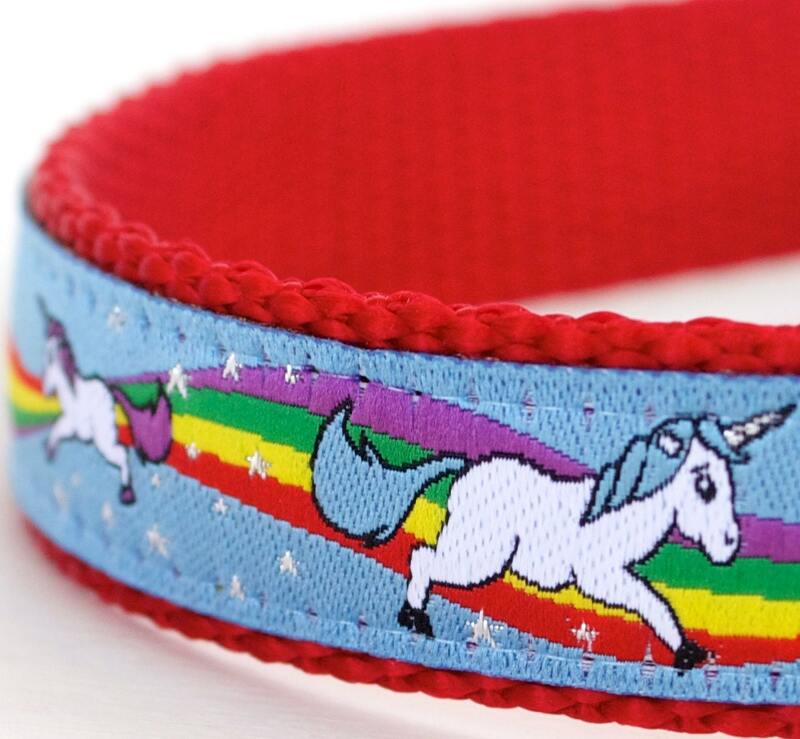 Adorable unicorn ribbon from Germany with rainbows. 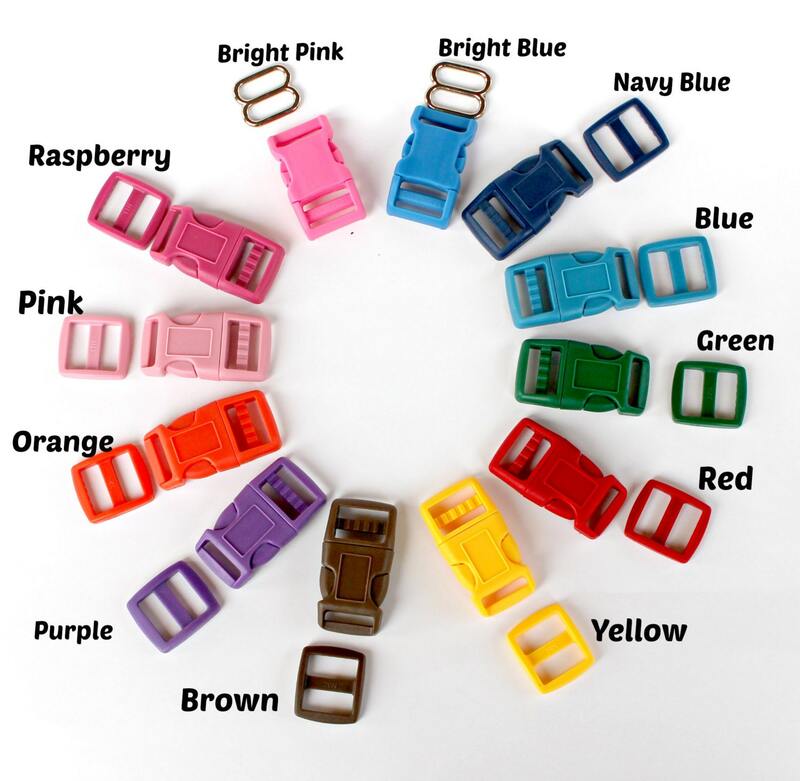 It is placed on red heavyweight nylon webbing. The stars in the rainbow have glitter thread. 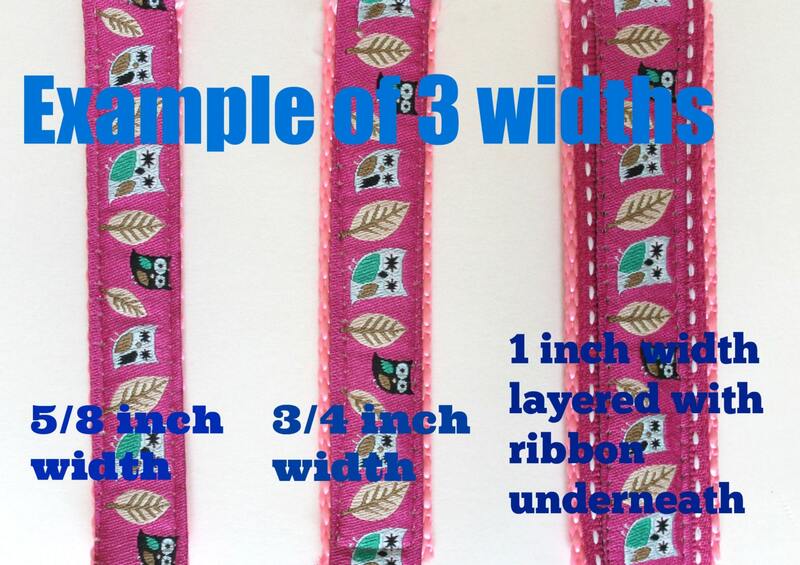 *Production Time is 5 to 9 days. Need a rush? Just convo me! Shipped on time and great quality! 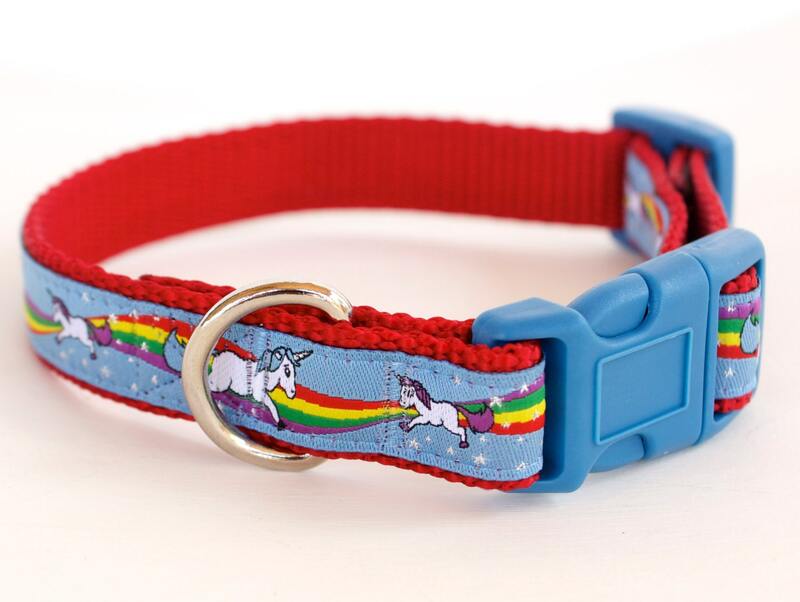 Beautifully handmade collar. It's perfect! Excellent customer service. Would definitely purchase from this shop again.